In addition to tracking bullying and harassment incidents, our BRIM Anti-Bullying Software can also be used to give you complete control and tracking of student discipline issues at your school. Student behavior management gives teachers the power to improve student behavior via positive reinforcement and intervention when behavioral issues occur. BRIM simplifies the tracking of both discipline and bullying incident information ensuring that students are held accountable for their actions and provided with assistance when needed. Further, BRIM keeps track of which interventions you perform and can help you identify which are most successful. 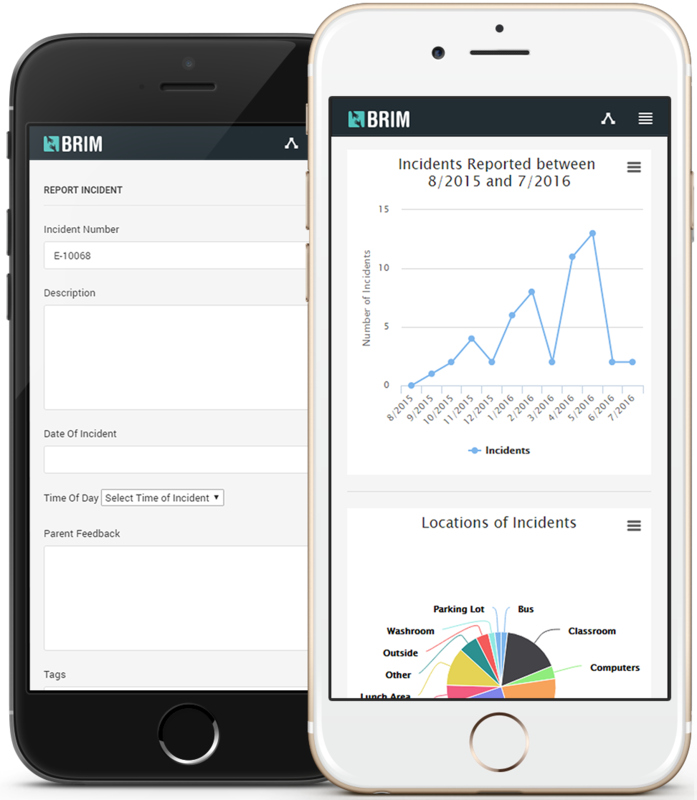 With BRIM, you get school discipline tracking software plus online bullying incident reporting tool in one! Using BRIM’s customizable behavior list, you can expand from tracking bullying behaviours to include student discipline issues such as dress code violations, tardiness and more. Teachers and school staff can also use BRIM’s online reporting tool to report discipline issues from anywhere around the school. School administrators are instantly notified via email of any and all reported incidents. Why implement student behavior management? Any veteran teacher will know student discipline fosters a positive learning environment. Managing student behavior is a learned skill. Giving teachers the tool they need decreases the learning curve to setting up a behavior management program. Managing student behavior is no easy task, but with the training and tools in place – success is inevitable. Each teacher will develop his or her own form of discipline guided by their training and experience. Smart tools help teachers stay consistent with the discipline program that works well for them. Good student discipline starts with a clear discipline scheme set out by the leader of the classroom – the teacher! 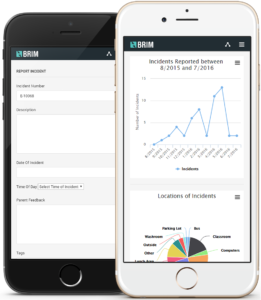 Ideal for schools of all sizes, BRIM can help your school not only keep track of discipline information but also give your students and school community a powerful online bullying incident reporting tool.